June | 2011 | News from Notch Consulting, Inc.
Solutia Inc. is initiating a price increase across its Santoflex® antidegradant line of rubber chemicals of up to 15 percent to offset significant increases in raw material costs. The increase applies to orders shipped on or after July 1, 2011 and will be subject to existing contracts. The Economic Times reports that Aditya Birla Group said it has completed the USD 875 million acquisition of Atlanta-based Columbian Chemicals Company. “The completion of the acquisition of Columbian Chemicals is indeed a milestone in our carbon nlack business. At one stroke it doubles our capacity, from one million tonnes to two million tonnes,” Santrupt Misra, a member of the newly-formed Board of Columbian Chemicals, said in a company release. The acquisition, announced in January, helped the Aditya Birla Group to extend its geographical reach and in giving a foothold in North and South America, strengthening position in Europe and in emerging markets. “Columbian Chemicals’ excellent R&D capability, multiple speciality products, the customer connect in North America and South America, coupled with committed teams, will add to the strength of the carbon black business,” Aditya Birla Group Chairman Kumar Mangalam Birla said. The newly-constituted Board for Columbian Chemicals would be chaired by Kumar Mangalam Birla. Other Directors in the Board include Rajashree Birla, Rajiv Dube, Santrupt Misra, D D Rathi and Kevin Boyle, CEO, Columbian Chemicals. The China Carbon Black Institute has announced the dates and location of the Carbon Black China 2012 conference, which will be held at the Sanli New Century Grand Hotel in Hangzhou, Zhejiang from April 20-24, 2012. As the largest and most influential academic conference on carbon black in China, Carbon Black China (CBC) has been held successfully for 12 sessions (one session every two years). For over 20 years, Carbon Black China has been playing an important and positive role in world carbon black industry. 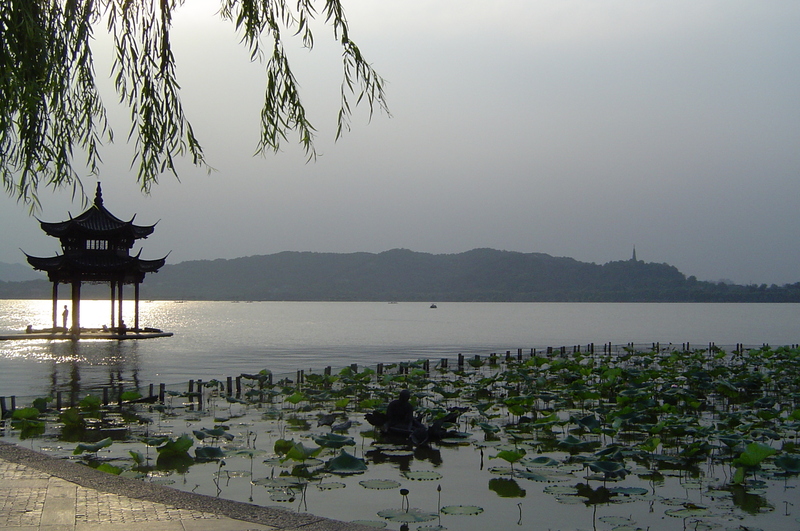 In addition to two days of academic and technical papers on China’s carbon black industry, the conference includes a sight-seeing program, which will include the West Lake region of Hangzhou, the famous Romance of the Song Dynasty show in Song Dynasty Town, and the Xixi Wetland Park. Notch Consulting Group is proud to be a member of the advisory committee for this conference and to present a keynote address. An oil tanker carrying carbon black oil (CBO) was freed yesterday after becoming stuck in mud for several days about 5 miles from the Gulf of Mexico. The 800-foot tanker Ratna Puja was southbound when it got stuck Monday night. Ships were able to get around the stranded vessel, but the incident highlighted the dangers of the swollen Mississippi. Rep. Cedric Richmond of Louisiana’s second district used the incident to warn that such events may become more frequent. Richmond said he has addressed the matter with the White House and the Army Corps of Engineers. Record water flow in the Mississippi River this spring has deposited additional sediment and reduced the operating depth of the river, putting large cargo ships at risk of running aground. Richmond warns closure of the Mississippi to heavy cargo traffic would cost the country as much as $295 million a day. From the Wall Street Journal comes word that the European Commission has cleared India’s Aditya Birla Group to buy U.S. company Columbian Chemicals, in a move that would bring together two of the four largest world producers of carbon black, a chemical mostly used in the production of tires. “The Commission has concluded that although the merger would create one of the three largest companies in the sector, European customers would continue to enjoy healthy competition,” it said in a statement. On May 27, Taizhou Sinorgchem Technology Co., Ltd., a subsidiary of Jiangsu Sinorgchem Technology Co., Ltd., broke ground on a new RMB 1 billion ($154 million) project in the Binjiang Industrial Park of the Taizhou Pharmaceutical High-Tech Zone. The first phase of the project will be a 5,000-ton production line for insoluble sulfur with high content, high thermal stability and high dispersion. The first phase is expected to be completed in the third quarter of 2012. Eventually, the site is expected to have 15,000 tons of capacity for insoluble sulfur. The site will also include two units for rubber accelerators: a 30,000 ton unit for accelerator M (MBT) and a 30,000 ton unit for accelerator NS (MBTS). Established in May 2008 through an investment by the Carlyle Group through Carlyle Asia Partners III, Jiangsu Sinorgchem Technology Co., Ltd. is the world’s largest producer of 6PPD, IPPD and intermediate 4-ADPA. Here is the press release from Sinorgchem. Stuff (via the Sydney Morning Herald) has a piece on Michelin’s ongoing work on a self-repairing tires, an area in which Continental also is active. The self-repairing tyre can be driven over nails without losing pressure, thanks to a new rubber compound that immediately plugs any holes in the tread. The tyre is not the first to have self-healing properties – Continental launched similar technology in 2009 – but Michelin says early versions of self-repairing tyres struggled to deliver the same performance as undamaged tyres, with the compound sinking to the bottom of the tyre if a car was parked for any length of time. This would create vibrations and affect rolling resistance, increasing fuel use. Tires based on the Michelin technology are not yet available, but the company insists that the tires will be superior to run-flats because they can be driven at normal speeds if they’re punctured and offer better ride comfort. Like run-flats, self-repairing tires offer the benefits of allowing carmakers to remove the spare, thus saving weight and space, and reducing vehicle weight. On June 9, Yokohama Rubber announced that it has begun delivery of its premium comfort tire ADVAN dB as original equipment for Toyota’s new hybrid car the “Prius α” (name in the Japanese market). The tire size is 205/60R16 92V. Vehicles fitted with the ADVAN dB went on sale on May 13, 2011. Tyrepress.com (subscription required) has a useful article on Challenge Bibendum 2011 and the market potential for materials used in fuel efficient tires. Market leaders in this segment include Rhodia in highly dispersible silica and Lanxess in synthetic rubber. The kind of opportunities Rhodia refers mean both increasing the amount (and therefore the benefit) of the Zeosil/silica in the tyres and introduces the material into different parts of the tyre casing such as the bead and sidewall. Firstly, while some products already use around 90 per cent silica in their tread compounds, this certainly is not true across the board and even the most keen tyre manufacturers are said to be still operating in the 60 – 70 per cent range. And as circumferential flexion increases heat build up (and therefore rolling resistance) as well as the actual gripping surface, there are said to be further benefits available for those willing to adopt this silica approach when it comes to construction parts other than the tread. According to Rhodia, this strategy can be used in both passenger can truck tyre products, where the firm reports that it is also experiencing a fair degree of expansion. The article includes a good comparison of the performance characteristics of HDS versus conventional fillers. Tyrepress.com (subscription required) has an article about Solutia’s recent restructuring of its rubber chemicals business, which included the sale of its accelerators business. Following the restructuring, Solutia is focused on Santoflex (6PPD) antigradants and Crystex insoluble sulfur, where it holds leading positions. The primary products in the Santoflex antidegradant portfolio are manufactured from the key intermediate 4-ADPA using Solutia’s proprietary PPD2 technology, for which Solutia holds a series of manufacturing process patents, including its Base Patents and Improvement Patent. “We developed a revolutionary manufacturing process and we stand firm in our commitment to protect our intellectual property around the world,” commented Roger Owen, global business director of Solutia’s antidegradants business, adding a caution to companies tempted to draw inspiration from Solutia’s work: “We have previously been engaged in patent litigation to protect against infringement of the Base Patents and are prepared to vigorously defend our intellectual rights under the Improvement Patent.” The Improvement Patent is, Solutia adds, valid in key countries throughout the world until 2019 and has been repeatedly held valid despite challenges from competitors.